You have got to go to The Neon Boneyard Museum in Las Vegas. I know what you are thinking, who goes to a museum in Vegas? 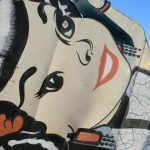 Well, this isn’t just an ordinary museum and it’s definitely something you have to see! 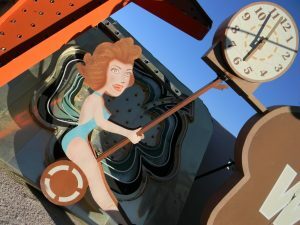 Founded in 1996, The Neon Museum has been dedicated to preserving a true art form in Las Vegas – the neon sign! 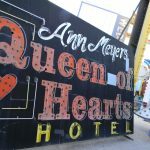 Of the hundreds of vintage signs that the museum has in their possession, nine have been restored and are located on Fremont St. and another three sit along Las Vegas Blvd. 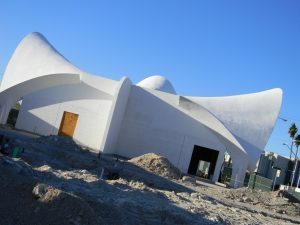 The rest are housed where your tour begins…in the “boneyard”! Reservations must be made in advance to visit and the $15 per person is well worth the money! 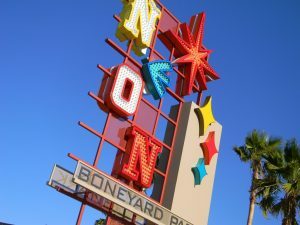 While the physical building of the museum is still under renovations (they are using the lobby of the old La Concha Hotel – which is a great example of Googie architecture), the tour begins in the neighboring “Neon Boneyard” Park. After a brief overview, a tour guide will lead you to see the majestic old signs. Once I entered the “boneyard”, my eyes darted every which way. There were so much awesomeness to look at – the colors, shapes and sizes were overwhelming! 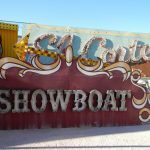 Old signs from the “Lady Luck”, an “E” from Cesar’s Palace, the lamp from the “Aladdin”, the complete and humongous “Stardust” sign…just to name a few and I am serious when I say that those are a just a few! You must stay with the tour, but our guide, Mitch, gave us plenty of time to take pictures while he told us the history of almost all of the signs. It was amazing to hear the stories and believe me there were some great ones! 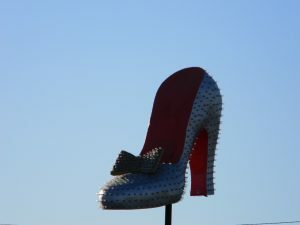 My personal favorite was about Howard Hughes and how he thought someone was spying on him from inside the silver slipper below. The tour was one of the coolest history lessons I ever received. Don’t be afraid to ask questions as you’ll never know what interesting facts you may discover! 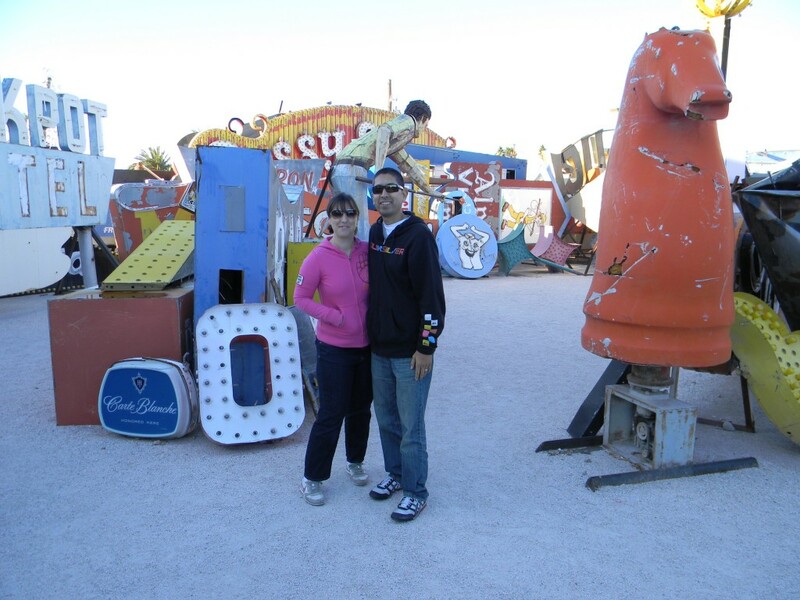 I felt “lucky” (yes a Vegas pun was intended) to have been able to spend an hour inside the boneyard and I will for sure be making a return trip. Homework: Step outside of the casino and GO GO GO to the museum. Don’t forget to let me know what your favorite sign was!